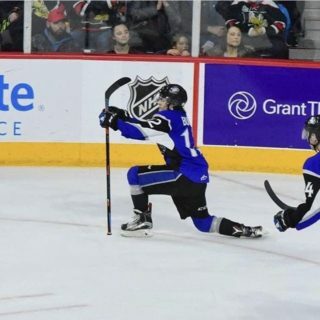 DRUMMONDVILLE – Nicolas Guay scored three goals to lead the Drummondville Voltigeurs to a 7-2 victory over the Saint John Sea Dogs, Saturday at Centre Marcel-Dionne. 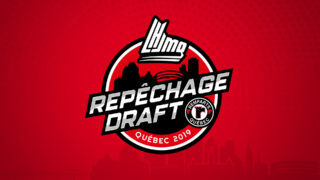 Morgan Adams-Moisan, Robert Lynch, Cedric Desruisseaux and Nicolas Desgroseilliers also tallied for Drummondville (19-8-1-1), while Nicolas Beaudin chipped in with three assists. Ostap Safin and William Poirier responded for Saint John (7-16-4-2). Drummondville remains tied for first overall in the QMJHL with 40 points. Safin opened the scoring for the second straight game. With the Sea Dogs on a two-man advantage, Joe Veleno fed a pass from the middle of the blueline to Safin near the faceoff dot in the right circle. The Edmonton Oilers’ prospect hammered a one-timer past the glove of Voltigeurs’ goalie Olivier Rodrigue. 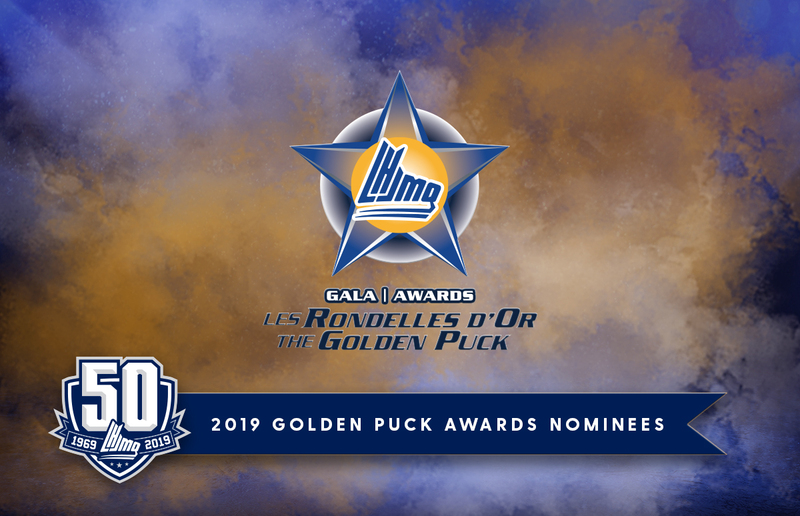 Guay tied the game four minutes later, on Drummondville’s first power play of the evening, by ripping a wrist shot from the top of the right circle that beat Saint John netminder Matthew Williams on his glove side. The Voltigeurs’ captain struck again on the man advantage with under thirty seconds remaining in the period. Guay had the puck in the left circle and attempted a pass to a teammate streaking to the goal. But the feed went off the stick of a kneeling Bailey Webster and through Williams’ legs to give the home team a 2-1 lead. The second period was scoreless, although the Sea Dogs outshot Drummondville, 11-9. Saint John’s best chance to score came late in the period when Veleno grabbed the puck near the red line and sped down the right wing, cut to the front of the net and forced Rodrigue to make a difficult pad save. The Volts took control in the third, scoring five times. Adams-Moisan, parked in the slot, deflected a point shot over Williams’ glove 31 seconds into the frame to make it a 3-1 game. Lynch added to the lead six minutes later, streaking down the right wing and deking to his backhand to beat Williams with a low shot past his stick. 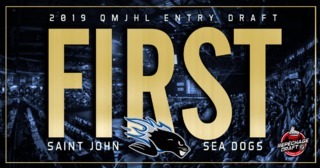 Poirier, Drummondville’s first-round pick in the 2015 QMJHL Entry Draft, got the Sea Dogs back to within two with nine minutes to go. Anthony Boucher, another former Volt, batted the puck loose near the Saint John bench, creating a 2-on-0 with Poirier and Landon Quinney. Quinney carried the puck into the slot and slipped a pass to Poirier, who snapped a shot inside the right post to make it 4-2. But that would be as close as the Sea Dogs would get. Guay completed his hat trick with three minutes left, crushing a one-timer from the slot past the glove of Williams. Desruisseaux and Desgroseilliers both scored in the final minute. Rodrigue made 22 saves in the win. Williams turned aside 32 shots in a losing cause. Guay’s three goals made him first star while Adams-Moisan’s two-point effort warranted a second-star selection. 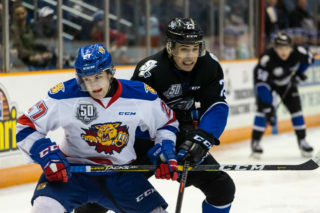 Beaudin earned third star with three assists in front of 1,625 fans in attendance. 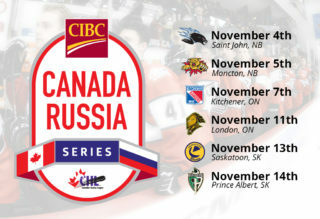 Saint John’s next game is Sunday, December 3rd, at 4 p.m. against the Quebec Remparts at Centre Videotron. Listen LIVE on 96.1 NewSong FM or newsongfm.ca. Watch LIVE on Neulion. The Sea Dogs’ next home game is Wednesday, December 6th, at 7 p.m. against Drummondville at Harbour Station. Tickets are available at the Harbour Station Box Office and online. Buy before the day of the game and SAVE!